One Eternal Day: "Marley was dead..."
The book is better than the films and plays. If you've never read it, you should. I rather envied the friend whose father read it to his family every Christmas Eve. 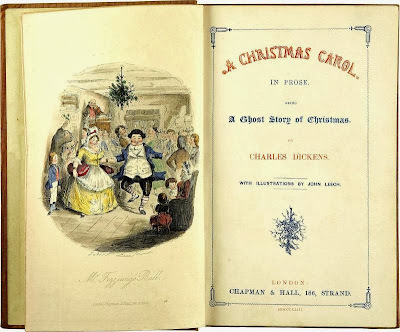 The story can be downloaded free for any form of e-reader: A Christmas Carol by Charles Dickens.